Just in case the wait for Titanfall wasn’t difficult enough to deal with, we’re entering trailer time in the run up to the release of Titanfall. 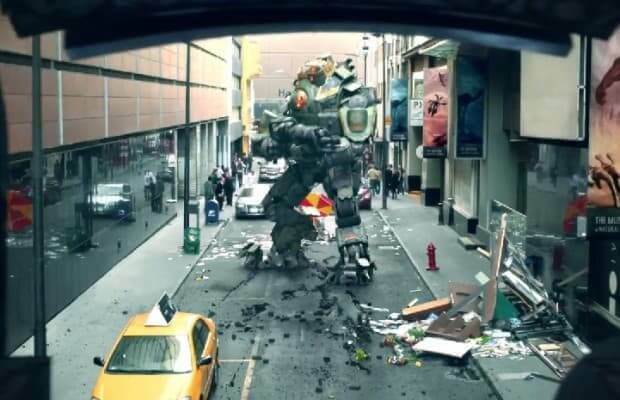 Respawn/EA have released a new trailer on YouTube featuring a real life interpretation of entering your titan in preparation for all-out titan warfare. Life is BETTER with a Titan! That is unless you run into another Titan… Grab your copy of Titanfall for Xbox One or PC and join us starting March 11th! Crafted by key developers behind the CALL OF DUTY franchise, Titanfall is the first next-gen shooter that combines pure adrenaline, wall-running, double-jumping action with powerful, fast-paced titan warfare to set the new bar for online multiplayer gameplay.